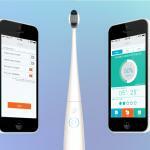 Philips has just released Sonicare in Australia – the number one dental professional-recommended sonic toothbrush in the world. At its heart is patented sonic technology which can create a cleaning action which is the equivalent of 30,000 brush strokes a minute. 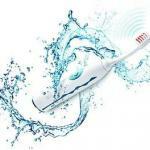 Not only can this make removing plaque easier, it can also help whiten your teeth and improve the health of your gums. 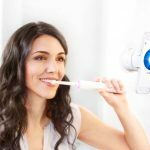 We tested out the Philips Sonicare FlexCare + which comes with the Sonicare power toothbrush and the charging stand which includes a UV sanitiser to clean the two brush heads that come with. The brush heads snap easily into place onto the Sonicare power toothbrush and has a slightly angled neck to make it easier to reach back teeth. One brush has a an elongated head with the with the other having a more rounded shape. There’s a fair bit of technology built into the device. Apart from the sonic technology there’s also five brushing modes to clean and massage your gums and another for users with sensitive teeth. We liked the timer onboard the Sonicare which gave us a clear indication about how long we needed to be cleaning our teeth and gums. The first was a straight out two-minute timer which alerted when our time was up. The other was a quadpacer which sets four equal intervals to allocate the right time to clean the four different sections of your teeth and gums. When it comes time to clean the brush heads the UV sanitiser comes into play. 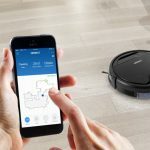 Inside the sanitiser are two bays – one for each brush head – to position them in front of the UV cleaner which, according to Philips, can kill up to 99 per cent of potentially harmful germs. 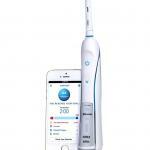 At first we were surprised by the power of the brush but, unlike a manual toothbrush where your hand does all the work to clean your teeth, we just had to gently guide the Sonicare around inside our mouth for a thorough clean. The vibrations are quite high and it took us a little while to get used to not hitting our teeth with the stem of the brush head. Even when we did it wasn’t painful but, for some, may remind them of the sound of the dentist’s drill. On a full charge the Sonicare power toothbrush will last for week so you can even pack it in your bag without the charger if you’re away on a short trip. Also included is a hard case which can protect the Sonicare power toothbrush and both brush heads if you did want to pack it up and take it with you. 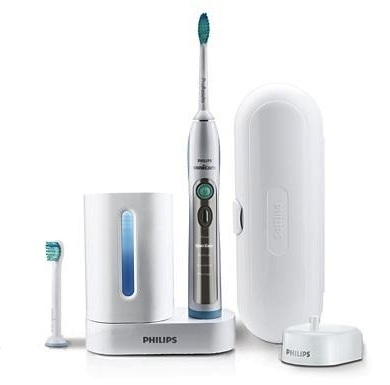 The Philips Sonicare Flexcare + power toothbrush is the top of the line product but there are other less expensive models which offer the same level of cleaning and convenience. There is even a Sonicare product for kids priced at $99.95 that plays music and makes fun sounds while they brush to encourage good brushing habits. It offers gentler cleaning and comes with two age appropriate brush heads for children aged four and older. 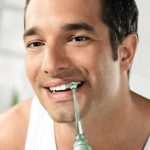 Dental health is important and using the Sonicare technology to keep your teeth and gums healthy will save you money at your dental check ups for years to come.